5. Forward and back adjustment. 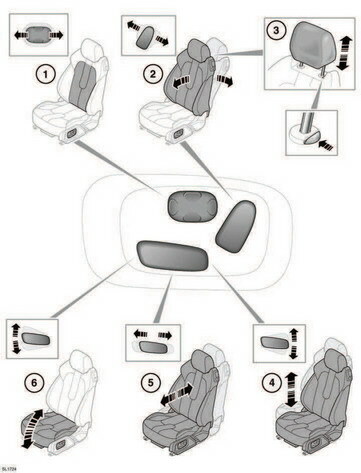 To adjust the seats, the Smart Key must be inside the vehicle.